Professor Malik Ranasinghe, who was the Deputy Chairman of Sampath Bank since August 2016, will take on his new role from the 2nd April 2019 as the Chairman of the bank. Sampath Bank said his rich experience and deep understanding of the Bank’s core values will be invaluable in achieving its objectives. 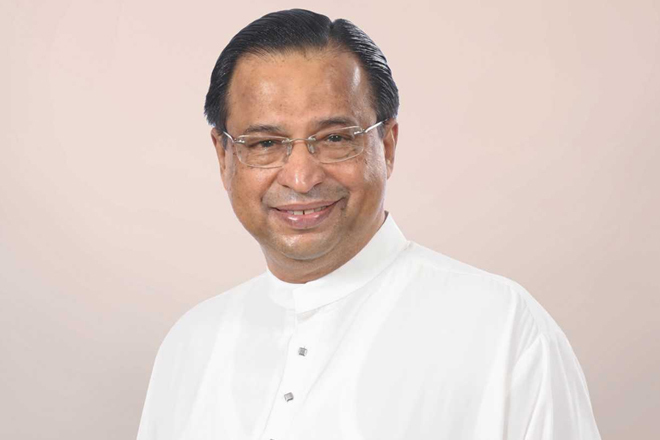 Professor Ranasinghe is a former Vice-Chancellor, University of Moratuwa, Member of the University Grants Commission and Independent Non-Executive Director on a number of Corporate Boards. He is a Fellow Member, Chartered Engineer and International Professional Engineer of the Institution of Engineers, Sri Lanka, Fellow Member of the National Academy of Sciences, Sri Lanka and The Institute of Project Managers of Sri Lanka and a Graduate Member of the Sri Lanka Institute of Directors. He obtained his PhD from The University of British Columbia, Vancouver, Canada in Civil Engineering Economics as a Canadian Commonwealth Scholar.